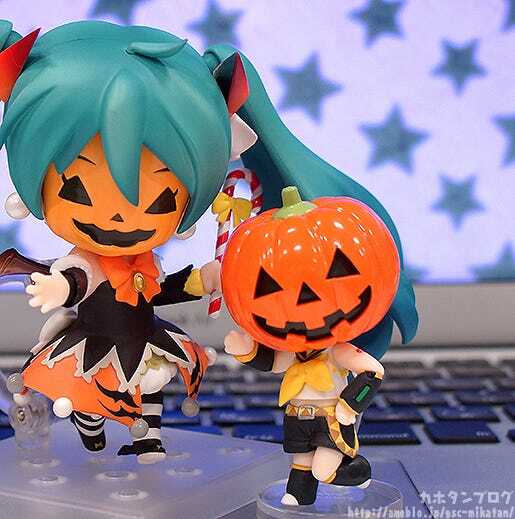 Kahotan's Blog | GOOD SMILE COMPANY Figure Reviews | Nendoroid Hatsune Miku: Halloween Ver. 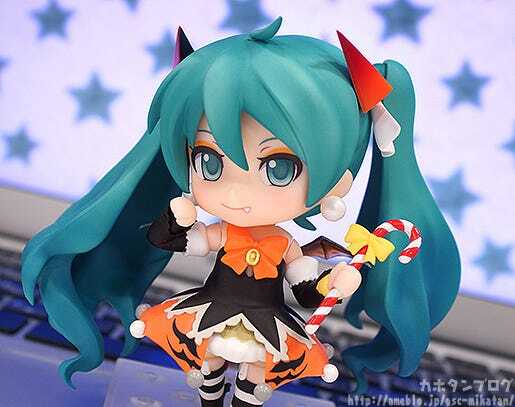 Nendoroid Hatsune Miku: Halloween Ver. I’ve always felt I’ve had a bit of an affinity for pumpkins! I much prefer sweeter side dishes anyway! 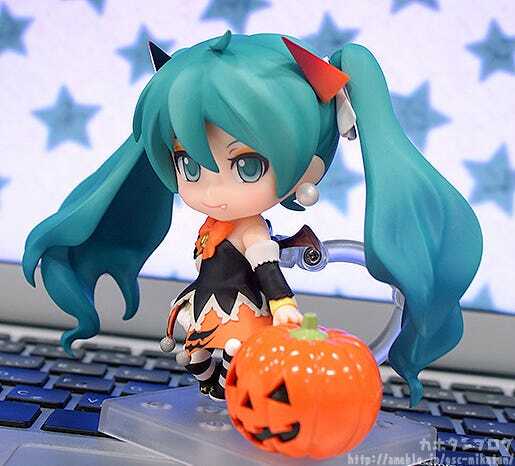 Nendoroid Hatsune Miku: Halloween Ver. ! 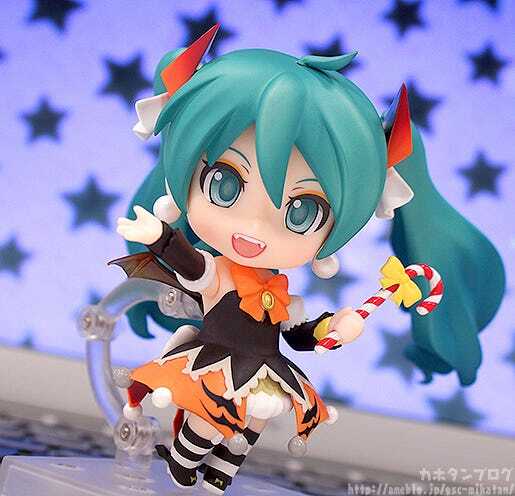 From the ‘Character Vocal Series 01: Hatsune Miku’ comes a Nendoroid of Hatsune Miku dressed up a cute little devil for Halloween! Her dress is made in the image of a pumpkin, and the outfit is covered with cute and colorful lace and ribbons! 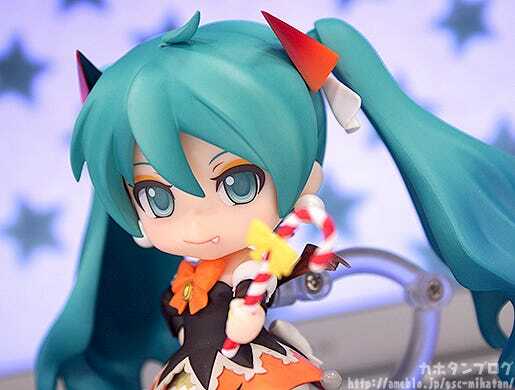 She also features expressions with orange eyeshadow, fangs and wings, bringing out the little devil in Miku for fans to enjoy! Together with her standard smiling expression, she also comes with a confident sneering expression and a special pumpkin head for all sorts of Halloween pranks! 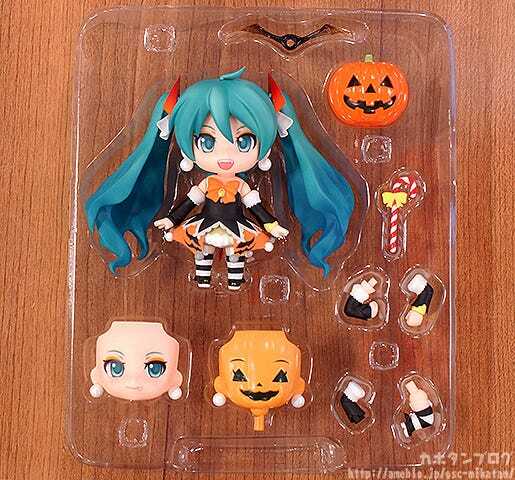 Optional parts include Halloween-themed items such as some candy and a jack-o’-lantern which can even be used as a head part for Nendoroid Petites! 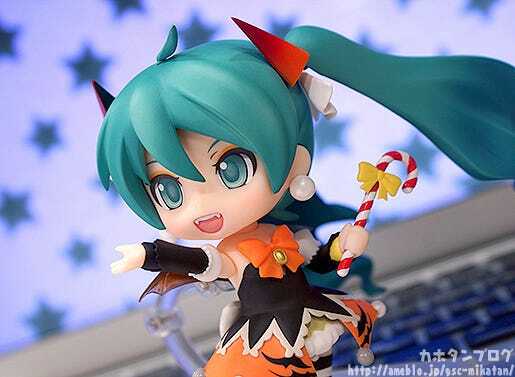 Enjoy this year’s Halloween with Miku by your side! 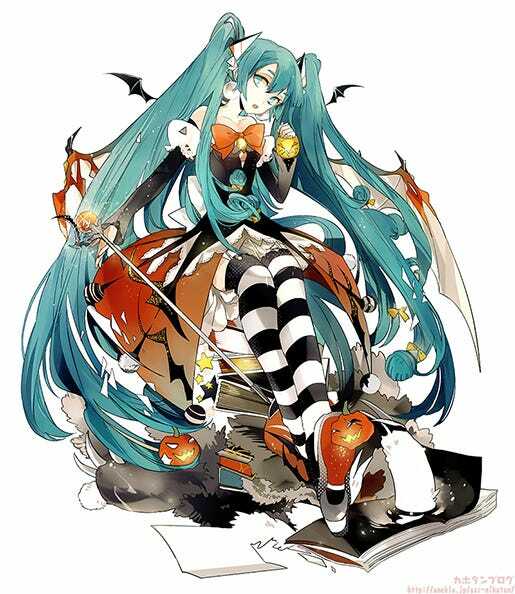 A slightly mischievous Miku perfect for Halloween! 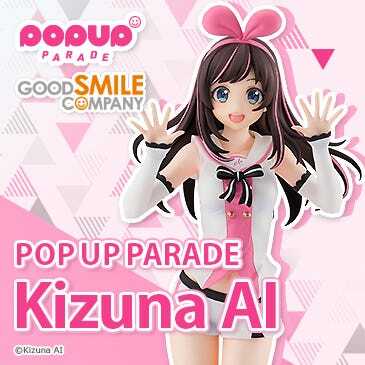 She will be on sale first at three different events! 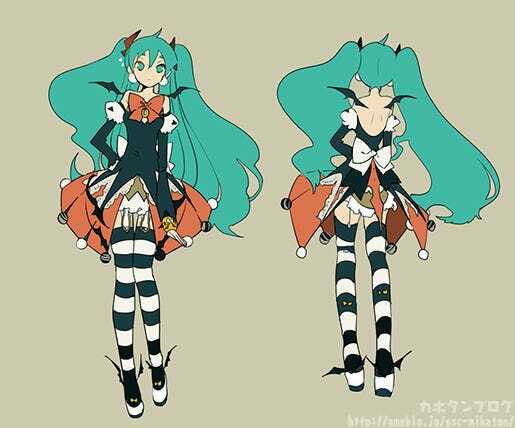 Starting with MIKU EXPO 2014 on the 11th October 2014! 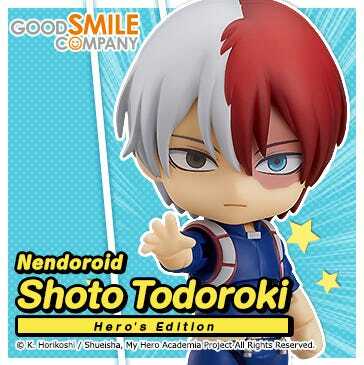 (GSC Online orders will be available at a later stage.) 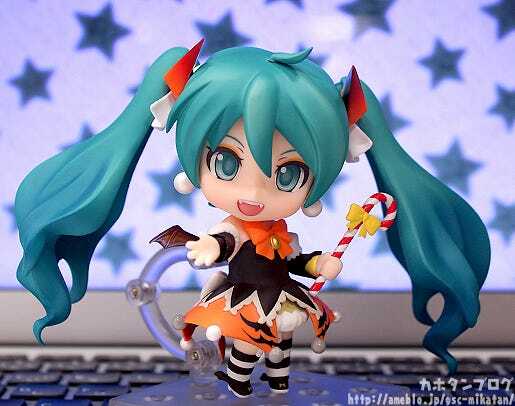 The other places you can buy her are listed on her product page: Nendoroid Hatsune Miku: Halloween Ver. This is how the packing looks! I’ll be taking a look at each of them in detail! Those little fangs on either side are just so adorable!! Orange x Black x White! 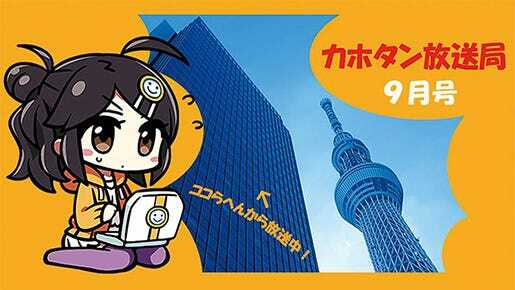 We’re joined by the figure’s planner, Hamako ! Let me be the first to say that I was very impressed!! I love seeing details on places that you normally shouldn’t even see! 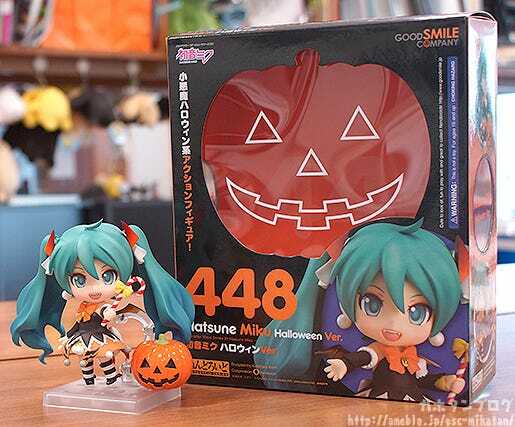 So this is where Halloween Miku started from! 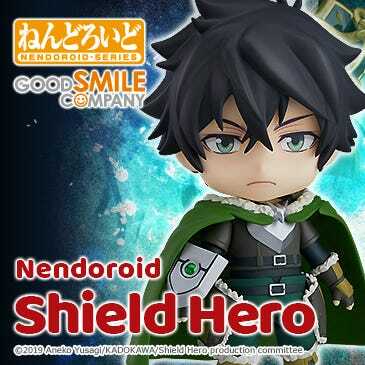 After the Nendoroid was announced, a more showy illustration was also made! The little bat wings on her back are a bit hard to see from the front, but from the back they’re very noticeable! Ooh! 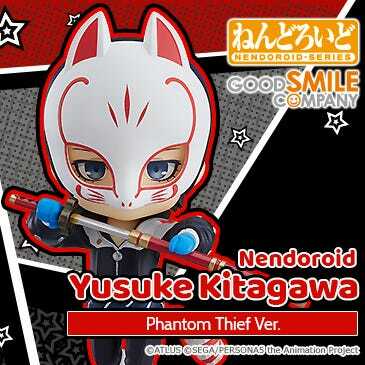 They even make use of transparent parts! But even more amazing is that expression! She looks even more mischievous than before! Wait! I remember! I saw it in the blister pack! At first the impact is rather huge… but after looking for awhile it actually looks rather cute! We’re also joined by the GSC production team’s Itashi Katahara! 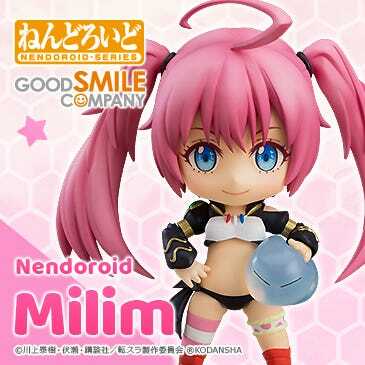 The expression alone IS rather creepy, but combined with the body she is rather cute! 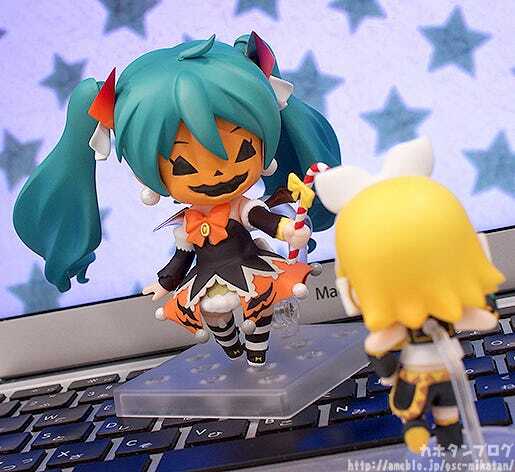 Nendoroid Petite: Rin-chan has been targeted by pumpkin head Miku! 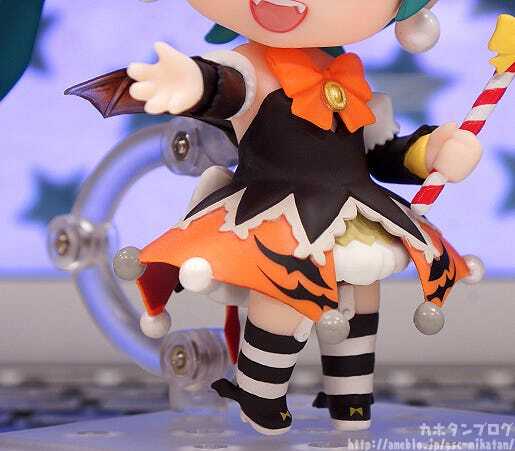 The included pumpkin can be used to simply display beside her, or instead used as a head part for a Nendoroid Petite figure!! 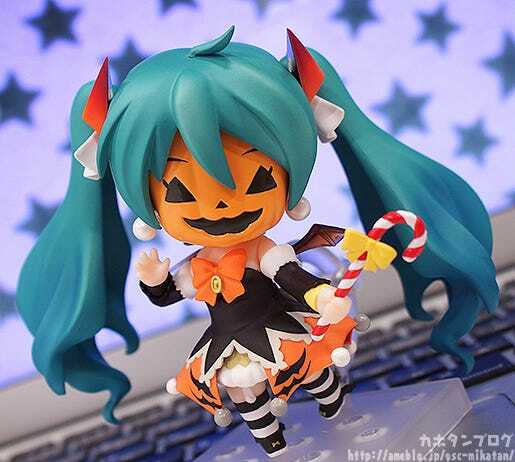 A little devil Miku ready to join you for Halloween! 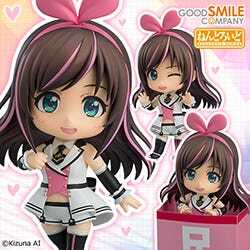 She will be on sale at various events in the USA first, but will also be available worldwide from the GOOD SMILE ONLINE SHOP afterwards! 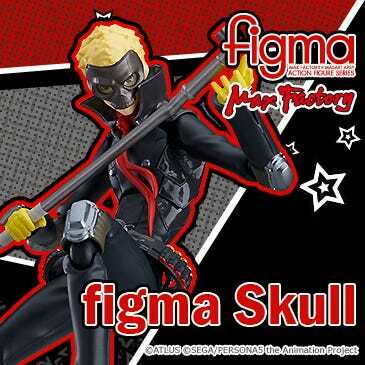 I foresee many interesting new figures!! 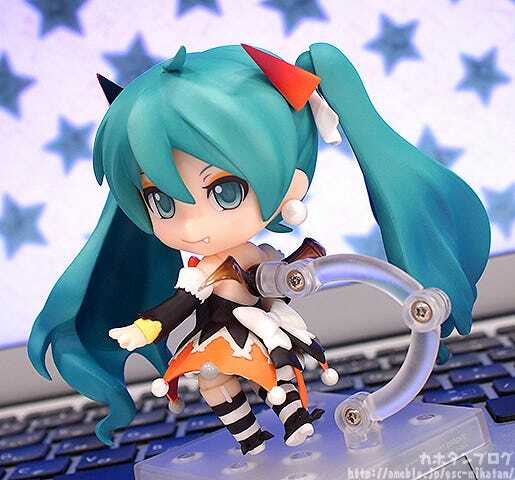 A look at the latest products including figFIX, Hatsune Miku Tell Your World Ver. and many more new items! Anyways, see you again next week! !